The CT Department of Agriculture successfully protected five farms from development since the beginning of July. This includes two pieces of land owned by the Shepard Farm in South Windsor, The Polek Family Farm in Enfield, Bud Wright’s farm in Bridgewater, and the Butler Farm in New Hartford. Since 1978, Connecticut’s Farmland Preservation Program has protected 358 farms for perpetuity. 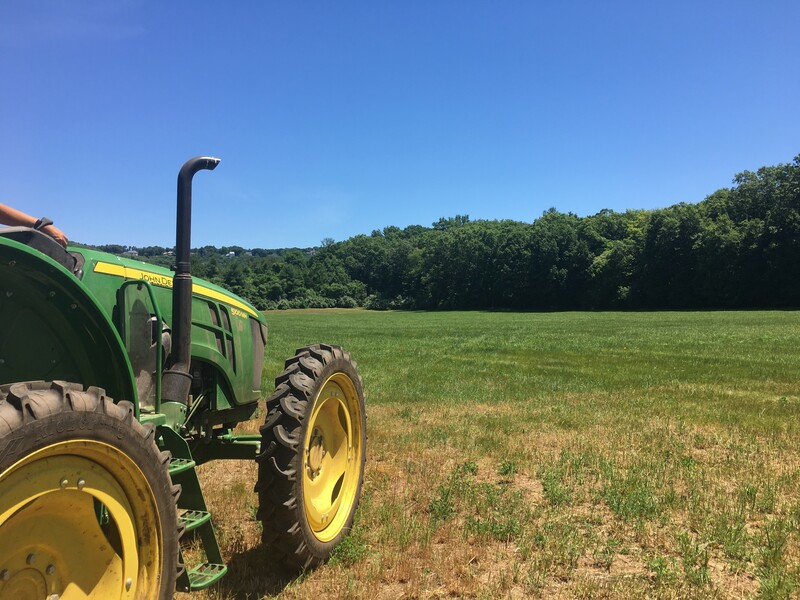 The five farms protected this summer symbolize why it is important for future legislators to continue supporting the Department of Agriculture’s ongoing efforts to protect one of Connecticut’s most finite resources: farmland, and prime and important farmland soils. Without the financial support of local municipalities to help in placing many of those farms under agricultural easements, their protection would not have been possible. The town of South Windsor partnered with the Department of Agriculture to purchase the development rights from the Shepard family for $724,000. The town paid $245,000 and the state paid $462,254. “The most significant irreplaceable asset we have is land,” said Tim Shepard, owner of Shepard Farm. “The productive farmland that provides our food, the serenity of a rural atmosphere, and the vistas that feed our imagination can only be assured by preservation. Everyone who supports the state PDR program does so for their unique reasons, but it is hard not to believe that a portion of the reason is to leave a gift to the next generation.” The Shepard farm is in the Connecticut Valley, a unique land resource area, and is dominated by some of the most productive soils in the world. South Windsor is one of three towns that finalized joint acquisitions of development rights for local Connecticut farms in July. The 55-acre Polek Family Farm in Enfield was protected through a combination of leveraged federal funds from the USDA – NRCS Agricultural Land Easement (ALE) Program and money from the CT Department of Agriculture’s Farmland Protection Program. The CT Farmland Preservation Program has protected a total of 1,234 acres within the town of Enfield since the program’s inception. The 86-acre Butler Farm is the second Community Farms Preservation Program purchase of development rights (PDR) project to happen this year. The total cost of the project was $436,050 and was paid for through a combination of funds from state farmland preservation program funds, the town of New Hartford, and, the Connecticut Farmland Trust. The Butler farm provides critical support acreage to a nearby expanding vegetable farm.